A couple of photos have been added to the Squad page from the last session in Birmingham. Around forty members attended from all parts of the country. 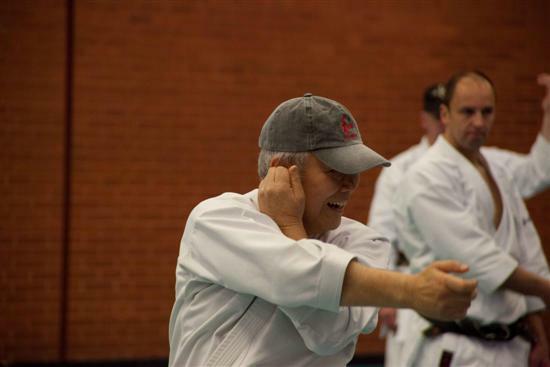 After a through warm up with Riaz Ahmed, head coach Peter Hill took the brown and black belts for kata, with Seishan being the kata for the day. Matthew Soanes took the coloured belts for practise in the Pinan kata. After a short break special guest instructor Jason Ledgister took the group as a whole for kumite. This was a thoroughly enjoyable and informative session, to conclude the session two areas were set up for referee and judges practise with Jason kindly passing on tips and advice to various members who were paired up for matches.